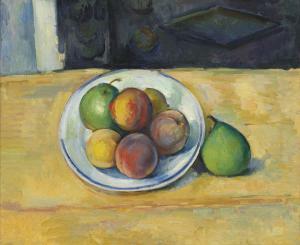 Find artworks, auction results, sale prices and pictures of Paul Cezanne at auctions worldwide. Paul Cézanne (1839-1906) D'après G. Coustou: Nicolas Coustou pencil on paper 8 5/8 x 4 7/8 in. (22 x 12.4 cm.) 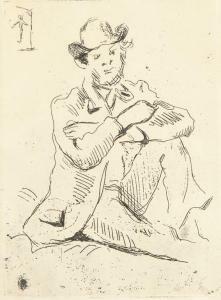 Drawn circa 1895-1898 Provenance Paul Cézanne (the artist's son), Paris, by descent from the artist. Paul Guillaume, Paris, by whom acquired from the above, and thence by descent. 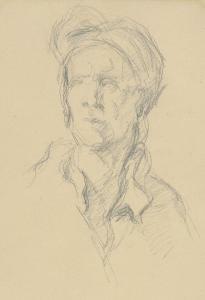 Adrien Chappuis, Tresserve, by whom acquired from the above in 1934, and thence by descent to the Barut family, Chembéry; sale, Christie's London, 26 June 2003, lot 330. Acquired at the above sale; sale, Christie's, London, 9 February 2006, lot 555. Private collection, France, by whom acquired at the above sale; sale, Christie's, Paris, 26 March 2015, lot 66. Acquired at the above sale by the present owner. Paul Cézanne (1839-1906) Nature morte de pêches et poires oil on canvas 15 x 18 1/8 in. (38 x 46.3 cm.) Painted in 1885-1887 Provenance Ambroise Vollard, Paris (nos. 3424 & 4348), by whom acquired directly from the artist, between 1899 - April 1904. Kurt von Mutzenbecher, Wiesbaden, by whom acquired from the above, on 24 August 1904. Otto Henkell, Wiesbaden, by whom acquired from the above, before 1929. Mrs Otto Henkell, Wiesbaden, by descent from the above, and thence by descent, until at least May 1949. Walter Feilchenfeldt, Zurich, by whom acquired in 1962. Dr Fritz & Dr Peter Nathan, Zurich (no. C-1248), by 1972. Col Edgar William & Bernice Chrysler Garbisch, Florida, New York & Maryland; their estate sale, Sotheby Parke Bernet, Inc., New York, 12 May 1980, lot 22. The Lefevre Gallery (Alex Reid & Lefevre, Ltd.), London (no. 9219). Acquired from the above by the present owners, on 30 May 1985. Paul Cézanne (1839-1906) Etudes de personnages (recto); Sainte-Antoine (verso) pencil on paper (recto); watercolor and pencil on paper (verso) 4 ¾ x 8 ¼ in. (12.3 x 21 cm.) 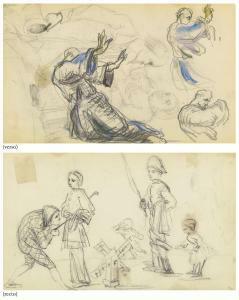 Drawn circa 1860-1865 (recto); Executed in 1873-1875 (verso) Provenance Paul Cézanne fils, Paris. Huguette Berès, Paris. Mr. and Mrs. Morton Rosenfeld, New York. Acquired from the above by the late owner, 1956. 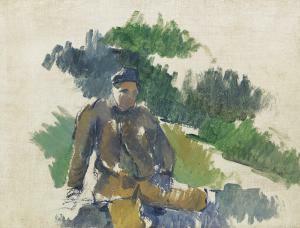 Paul Cézanne (1839-1906) Garçon assis oil on canvas 14 ¾ x 19 3/8 in. (37.5 x 49.2 cm.) Painted in 1890-1895 Provenance (possibly) Ambroise Vollard, Paris. (possibly) Galerie Moos, Geneva. Nordmark collection, Stockholm. E.V. Thaw, New York (acquired from the above, circa 1983). Giuseppe Eskenazi, London (acquired from the above). Acquired from the above by the late owner, by 1998.